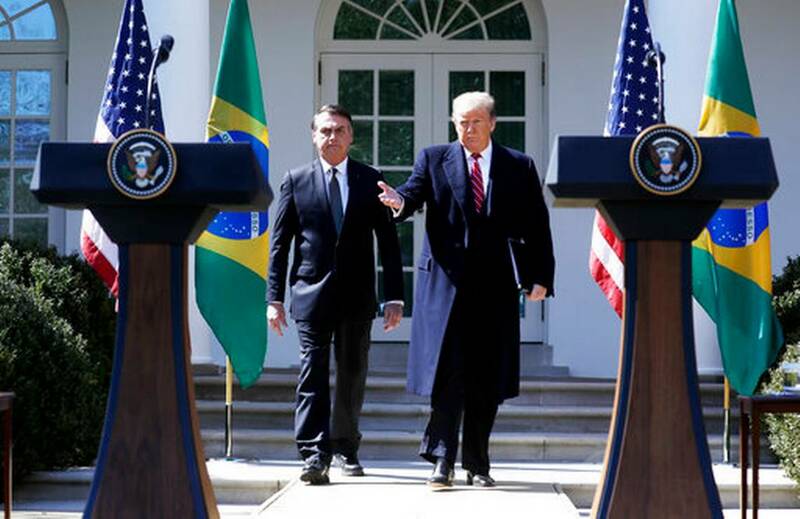 Donald Trump has repeatedly said that “all options” are open on Venezuela, although Latin American and European allies have broadly warned against the use of force. President Donald Trump warned Tuesday that the United States could impose “a lot tougher” sanctions on Venezuela as he urged the country’s military to depose leftist leader Nicolas Maduro. “What is happening there is a disgrace. This was one of the wealthiest countries in the world and all of a sudden, it is grief-stricken, poverty-stricken — no food, no water, no air-conditioning, no anything,” Trump said. Despite Trump’s threats, the United States has already imposed a wide range of sanctions on Venezuela including the key step of cutting off the regime from revenue of its state oil company — which counts on the United States as a key market through operator Citgo. A sweeping embargo on Venezuela — of the sort imposed for half a century by the United States against communist Cuba — is seen as unlikely to gain wide support in Latin America, despite frustration with Maduro.